Andhra Pradesh Teachers Recruitment Test TRT 2018 Notification has been issued by School education Department to fill up various Vacancies in the Govt ZP MP Schools in all Districts. All the Process of Recruiting teachers up to conducting exam. Results to be released on 15th March 2019. 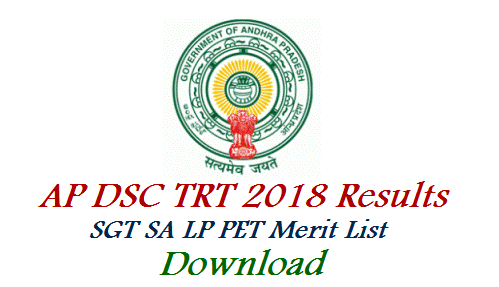 District wise Marks Merit List of Secondary Grade Teacher School Assistant Telugu Hindi English Mathematics Physical Science Bio Science Social Studies Language Pandits Physical Education Teachers Recruitment Exam.